Ask any SEO expert about the strategies they employ to obtain high search rankings and there is a good chance link-building will find a place in the top three. Google itself has officially declared the importance of external link building as an off-page ranking factor. However, only links from high-domain authority websites are factored in by search engines. That’s why it’s necessary to approach best-in-class publishers and writers/bloggers and persuade them to carry your content and attribute a link back to your site. Though this may seem to be an easy way to generate backlinks, it needs smart strategizing and focused effort to produce concrete results. Pitching high domain-authority publishers and writers generates great ROI. Those who have done it successfully have reaped huge rewards. Buffer, a social media scheduling tool, acquired 100,000 new customers within just nine months. To get that kind of success, it is essential to think and act smartly. Though getting your guest post published on high-domain authority websites or earning a link have undeniable advantages, finding such publishers is not easy. There are some of the obvious sites such as Forbes, Entrepreneur.com, CNN, Mashable, TechCrunch, and others who you can approach which enjoy good reputation. Here is a detailed strategy to locate other good publishers. It is essential to identify a publisher in your domain that enjoys a high level of topical authority. Suppose you’re running a real estate broker consultancy in California. How will you find a reputed publisher in your niche area? 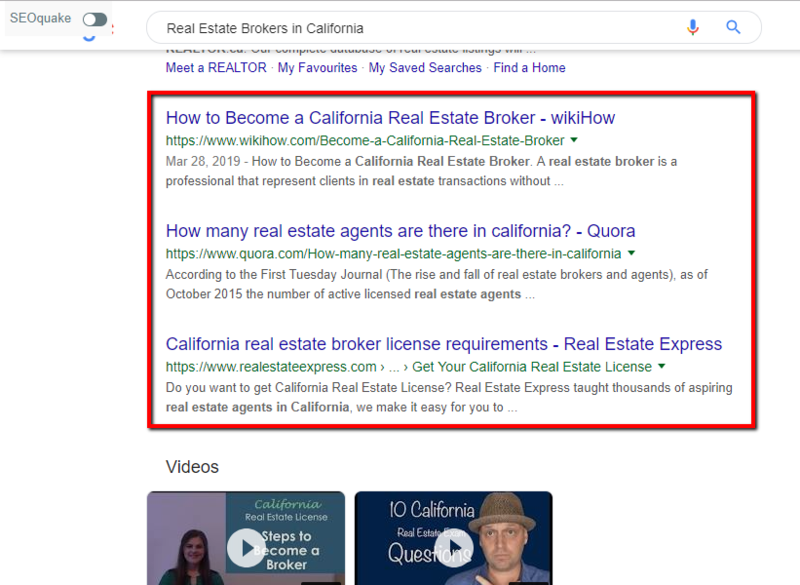 Type “Real Estate Brokers in California” into the Google search bar. It will generate a results page and there is a good chance you will find some high-quality publishers on that list. 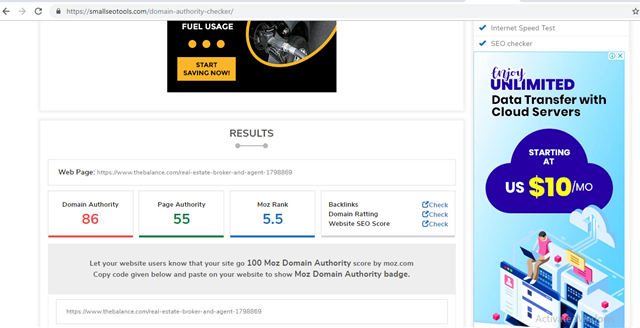 Now check the domain authority of these results by pasting the links one-by-one on the Small SEO Tool, which is a free online tool. This tool evaluates the domain authority of the site. By repeating the process, you will have a list of high-authority publishers you can target. To find a good writer, you may have to carry out some data mining to get accurate results. Using influencer marketing tools such as BuzzSumo and Tomoson could make your task simpler. 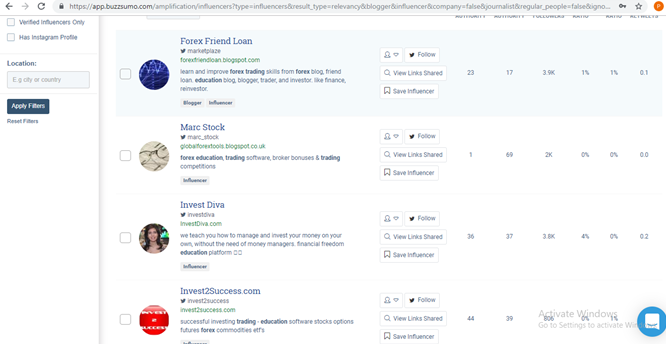 For example, if you’re looking to find an influencer-writer in the forex trading domain, select “journalist” and “blogger” by ticking the respective boxes and click on the “Apply Filter” button. It will present a list of options which can be downloaded. Apart from BuzzSumo and Tomoson, there are other useful tools you could try out based on your requirements. The above-mentioned techniques are easy to follow and can be used to find a list of highly relevant publishers and influencer writers/bloggers to pitch your content. The process will help you discover many unknown opportunities to boost your rankings.